When we typically drive to and fro the mainland, it is the middle of the night to avoid traffic. But we actually drove back into the Florida Keys in the daylight the other day. And since I really did not want to make dinner after driving all day, we decided to stop in Key Largo for a late lunch / early dinner. 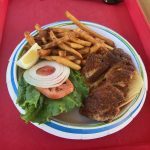 Key Largo Fisheries and Seafood has been delivering bait to our marina forever. But I recently realized that they not only have a fish house, but a restaurant too. Talking my husband into checking it out on the way back was pretty easy. We were pleasantly surprised by the atmosphere; it was neat and clean and did not smell like a typical fish house. 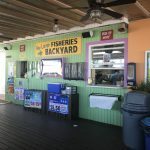 The outdoor seating was shaded and had nice views of the marina at which Key Largo Fisheries is located. The menu is located on the wall next to the window where you order your food. Once ordered, a buzzer is given to the customer to alert them to when their food is ready to be picked up at another window. 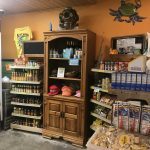 While I was waiting for our food to be prepared, I wandered into the fish house which was very clean and had a really nice selection of not only seafood, but other odds and ends such as seasonings, crackers, tools, hats, etc. Even though I really wanted to come home with a bunch of fresh seafood, I did not have a cooler big enough to fit anything in for the two hour drive home. Plus, I can get stuff back home easily enough. We ordered the fish dip as an appetizer. For our entrees, Steven ordered the fried seafood platter and I ordered a blackened snapper sandwich. Both meals came with fries and they were yummy. The fish dip was tasty; not the best I have ever had, but I would not turn it down if presented with it again. It had little chunks of bell peppers in it which gave it a nice little crunch and some color for a nice presentation as well. 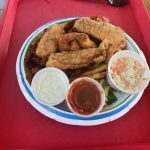 The fried seafood platter was the typical dish that you get at pretty much any seafood restaurant. It had shrimp, fish, and clam strips. The seafood was fresh and tasted decent, but the clam strips were very overcooked. All too often a fish sandwich is mostly bread with no real substance. In this case, my sandwich was not only delicious, but the fish fillet was a nice size too! Our meal was pretty pricey, but that is expected when getting fresh seafood. We enjoyed sitting there and relaxing with our drinks. And if we were not itching to get home, we would have enjoyed sitting there awhile longer. I would definitely recommend this as a nice lunch stop when driving into or out of the Keys. 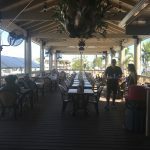 Before deciding where to eat while you are visiting the Florida Keys and Key West, be sure to read my restaurant reviews; check out our restaurant review section of this blog. 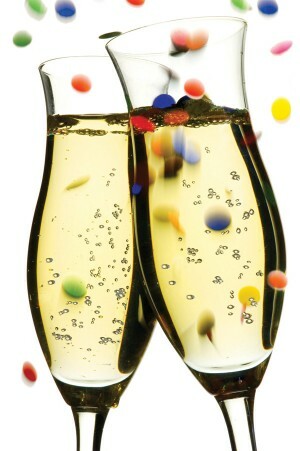 To see what is happening on the island during your visit, check out our Key West Events Calendar to see other upcoming special events.